Discussion in 'TV on DVD and Blu-ray' started by JohnHopper, Aug 18, 2018. The Ghost of Sierra de Cobre is on pre-order at Amazon. Funny how the commercial people mislabeled The Haunted as the ‘alternate cut’ even tough it was the version shown to the CBS executives back then. The Ghost of Sierra de Cobre was a later cut, expanded to fit the theatrical requirements. Brent Reid and Flashgear like this. I just pre-ordered The Ghost of Sierra de Cobre on Blu-ray. I hope other HTF members will follow. I finally watched and discovered that rarity. This ethereal and abstract mystery was cut in the same clothe as the unsold pilot The Unknown: it’s an outgrowth, a self quote and Stefano’s second attempt to sell a macabre show after the failure The Unknown. You will notice the same type of stagey acting style from the leading performers and photographic composition as The Unknown thanks to Conrad Hall, especially one shot of blind Henry Mandore rushing to a telephone which is the carbon copy of a shot with Tone Hobart. Oddly enough, the main character of Nelson Orion is a proto-David Vincent from The Invaders because he is an architect with a disbelieving associate and has a double life towards the far-fetched and, here, the supernatural. The opening title clearly emphasizes on Orion as an architect because it ends up with a shot of his modernistic beach villa hanging on a cliff. Stefano also refers to Hitchcock’s Psycho when Paulina is her way to stab Orion at his villa. 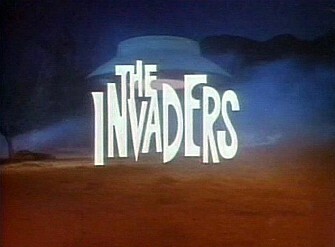 As this fragmented story, the music is a patchwork and consists of rejected cues from The Unknown and some new ones recycled later on “Beachhead”, the pilot of The Invaders. One odd fashion detail is recurring: the hip 1960’s sweater worn by Henry Mandore and Nelson Orion that remind the one of Andre Pavan from The Unknown. Moreover, the Mandore’s drive a Rolls-Royce as in The Unknown! Actress Diane Baker will also appear on “Beachhead”: what a funny coincidence! Still, as in The Unknown, you find a blind man (Henry Mandore acting like both Tone Hobart and Colas) and a strange servant (Paulina acting like both Colas—who is the owner of the mansion—and Mrs. Dame from “The Bellero Shield” and the peasant woman of the funeral march in The Unknown). More Outer Limits references pop-up from time to time: the first name of the leading lady Vivia is already used in “Don’t Open Till Doomsday”, the first attack of the bleedy ghost in the crypt is shot like “It Crawled out of the Woodwork” and the ghost itself is made exactly like The Andromeda alien from “The Galaxy Being” (meaning a vaseline-filled rubber suit edited in negative reversed). Unfortunately, The Haunted looks like a poor man’s version of the sophisticated The Unknown or its companion piece and the restored print still contains showy scratches and the frame move and tilt at the start. At best, it is a curiosity and a lush episode of Thriller shot by Conrad Hall loosely reminding “The Premature Burial” and the rough inspiration of Quinn Martin’s pilot for The Invaders. The telefilm succeeds in its details of composition: transition, short dramatical scenes, the interior sets (the long corridors of the crypt, the hallway of the Mandore’s with its checker floor, the duplex villa of Orion filled with paintings). Recommended for the friends of the unusual! The theatrical version of The Haunted is much better and stronger—especially the unexpected outcome that is absent in the television version—because the story is well-developed and doesn’t have the fragmented pace of the pilot. The additional shots and scenes combined with longer scenes add density and fluidity to the story. Stefano’s script is highlit in that version. Besides the crisp print is an added value to the enjoyment of the narrative. In the end, the diabolical character of Paulina is a blend of Mrs. Dame from “The Bellero Shield” and Mrs. Harvey Kry from “Don’t Open Till Doosmday”. Watching the film with a cold temperature screen allows to get a harsh realistic texture. You are the only one (online) to make a "stab" at reviewing this (recent) blu-ray release which says a lot (in my mind's eye). Much (likely) has to do with the general unfamiliarity on the part of most everyone about this television feature. In addition to the over-shadowing of other better known screen and television title simultaneous current releases. I actually bought two copies but haven't had the chance to watch it because of the upgrades being done in my basement rec room which is where I (exclusively) do my television viewing. 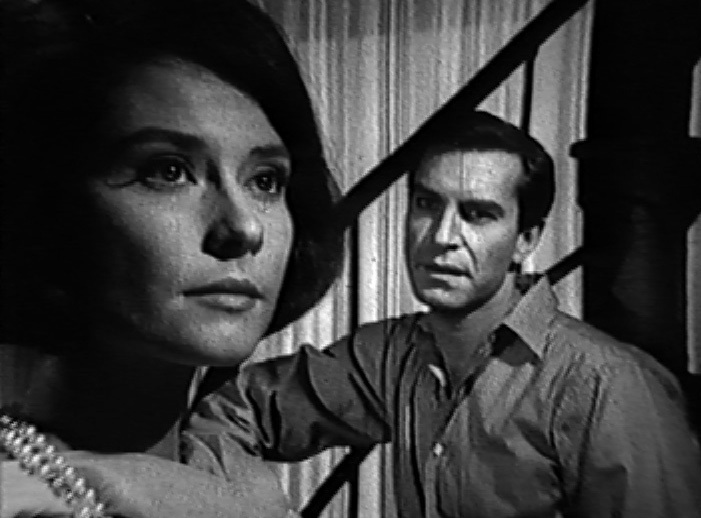 As has been stated by this reviewer THE GHOST OF SIERRA DE COBRE (1964) was an expansion of the unaired THE HAUNTED (CBS 1964) tv pilot but syndicated exclusively as a made-for-television feature film which (formerly) aired regularly on Canadian tv stations. It was not a theatrical release. At least not in North America. The title is curious because TV GUIDE magazine (in my area) always listed this perennial as THE GHOST OF SIERRA DE COBRA (1964) which I think is a better title in its own way. Not having seen it in a long while I recall that the title was stretched across the frame in a single sentence and until I (finally) get to view my own blu-ray copy I'll still remain somewhat skeptically suspicious of the (what is for me) the unfamiliar DE COBRE wording. It will further be a real treat to have the opportunity to view the actual tv pilot. I did wonder about whether it would also be a restoration. I assume the best was possibly done to improve upon it (if not entirely successful). Dominic Frontiere (June 17th, 1931 - December 21st, 2017) was a great composer but he tended to lazily recycle his music (or his music was recycled) again-and-again-and-again instead of coming up with more "new" material. That may well be one reason that he was unceremoniously "dropped" from THE INVADERS (ABC 1967-68) tv series after its first season because of the (possible) uncertainty whether he could indeed orchestrate additional original music. Anyhow thank you for the much appreciated (online) review (for myself) it made for most informative and enjoyable reading indeed! of The Outer Limits squeezed into one. Do you catch my meaning? The Haunted was actually listed on early versions of the CBS fall schedule. The movie was put together as an afterthought to try to recoup the money spent on the pilot. Every frame of usable footage was thrown back in to pad it out to an acceptable movie length. When the pilot was shot, there wasn't any thought given to a feature length version so it was just a matter of editing in as many outtakes as they could find. The feature version has a completely (and I do mean COMPLETELY) different ending, so it was more than just padding. From Schow's commentary track: "Comparison is interesting because you can see how in one case, existing footage was repurposed, new footage was shot, sometimes things were shot both ways... but it's a nice little manipulation, and thanks to this disc you can compare both versions." I do prefer the Ghost version. As do I (Schow thinks I'm nuts). I've seen The Haunted twice, the movie once. I preferred the tv version but I'll watch them again and see.